The Senate Judiciary Committee has posted the committee questionnaire of Evan J. Wallach on its website. Judge Wallach is currently a judge on the United States Court of International Trade and a nominee for the Court of Appeals for the Federal Circuit. You can view the committee questionnarie [here]. Judge Wallach has presided over at least one patent case at the district court level. No Senate Judiciary Committee hearing has been scheduled for Judge Wallach at this time. Regardless of what statutory category (“process, machine, manufacture, or composition of matter,” 35 U.S.C. sec. 101) a claim’s language is crafted to literally invoke, we look to the underlying invention for patent-eligibility purposes. In the Cybersource opinion, the panel essentially rewrote the article of manufacture claim (i.e., Beauregard claim) into a method claim so as to find the claim ineligible subject matter as reciting a mental process. The panel rationalized that the gist of the invention was an abstract idea, as informed by the panel’s interpretation of the method claim, and therefore the article of manufacture claim should be analyzed similarly — regardless of whether that analysis required one to disregard express claim language. What may come as a surprise to many is that there was a similarly unsettling suggestion by Chief Judge Rader in the oral argument of Research Corporation Technologies v. Microsoft in his suggestion that one could just look to the subject matter of the specification as a test to determine patent eligibility, as opposed to looking to the express language of the particular claim at issue. In that oral argument, Chief Judge Rader had the following colloquies with the patentee’s counsel and defendant’s counsel, respectively: [Listen] and [Listen]. Judge Rader seemed to be suggesting (at least for purposes of discussion during that pre-Bilski oral argument) that the patent eligibility of the invention be gauged from the specification in order to assess section 101, rather than assessing the actual text of each claim on a claim by claim basis. At the end of the day, the Research Corporation Technologies panel did not adopt such a test. * Had they done so, it would have been just as troubling as what the Cybersource panel has done in re-writing Beauregard claims as method claims for purposes of assessing patent eligibility. This court, however, has rejected a claim construction process based on the “essence” of an invention. See, e.g., Allen Eng’g Corp. v. Bartell Indus., Inc., 299 F.3d 1336, 1345 (Fed.Cir.2002) (“It is well settled that `there is no legally recognizable or protected essential element, gist or heart of the invention in a combination patent. '”) (citing Aro Mfg. Co. v. Convertible Top Replacement Co., 365 U.S. 336, 345, 81 S.Ct. 599, 5 L.Ed.2d 592 (1961)). Indeed, this court has done so quite forcefully and quite recently. See MBO Labs., Inc. v. Becton, Dickinson & Co., 474 F.3d 1323, 1330-31 (Fed.Cir.2007) (“We sympathize with the district court’s choice, since 1323*1323 we agree that [the feature] is an essential element of the invention. . . . However, we cannot endorse a construction analysis that does not identify `a textual reference in the actual language of the claim with which to associate a proffered claim construction. '”) (quoting Johnson Worldwide Assocs., Inc. v. Zebco Corp., 175 F.3d 985, 990 (Fed.Cir. 1999)). Simply stated, “automatic determination of finish tooth positions without human adjustment of the final results” is a limitation that the majority has amalgamated from the specification of one of the patents in suit without reference to the specific language of any claim of any of the patents. As the Federal Circuit struggles with the proper test to apply post-Bilski, it should keep this principle in mind. Each claim should stand on its own merits (i.e., its claim limitations as a whole) for purposes of patent eligibility, rather than relying on the gist of the invention. This would avoid the temptation to import the gist of the invention from related claims or to try to divine the invention from the specification. You can listen to the entire oral argument of Research Corporation Technologies, Inc. v. Microsoft Corp. [here]. You can listen to the oral argument of Cybersource Corp. v. Retail Decisions [here]. The invention presents functional and palpable applications in the field of computer technology. These inventions address “a need in the art for a method of and apparatus for the halftone rendering of gray scale images in which a digital data processor is utilized in a simple and precise manner to accomplish the halftone rendering.” ‘310 patent col.3 ll.33-40. The fact that some claims in the ‘310 and ‘228 patents require a “high contrast film,” “a film printer,” “a memory,” and “printer and display devices” also confirm this court’s holding that the invention is not abstract. Indeed, this court notes that inventions with specific applications or improvements to technologies in the marketplace are not likely to be so abstract that they override the statutory language and framework of the Patent Act. So, Judge Rader’s reference to “high contrast film,” “a film printer,” “a memory,” and “printer and display devices” is a reference to claim language in claims other than the claims at issue; because, claims 1, 2, and 11 listed above recite none of those elements. Judge Friedman, our colleague and friend, has moved to the banks of memory. We treasure his memory. And we extend our condolences to Judge Friedman’s family, and his friends. I’m honored to speak for the court, for at this moment Chief Judge Rader is performing a wedding in California – a schedule he couldn’t change. He wrote, from the wedding site: “Please carry my respect and love for Dan in your hearts at his service”. We do indeed. Respect and love are the markers of our memories of our friend and colleague. We shall not forget Judge Friedman’s dignity, his warmth, his humor. We remember his lifetime of scholarship, his brilliance and his wisdom, all generously shared. His seventy years of public service started long before he came to the judiciary. In the office of solicitor general, his legal advice to the nation, and his representation as its advocate, had already ensconced him in the annals of good government. So it was fitting that in 1978 President Carter called him to be Chief Judge of the United States Court of Claims — the eleventh chief judge since 1858. The Court of Claims was at the foundation of nation’s rule of law – that the people can sue their government, and receive even-handed justice. Judge Friedman told me that he expected to finish his career in that role – and then, about a year later, the idea popped up of this curious new judicial structure, supposed to move the court system into the era of science and technology, and somehow incorporating the reputation of the historic Court of Claims. Judge Friedman knew that I’d been involved in those early efforts, and he told me that he still wondered what the Court of Claims had to do with the progress of science. But I knew that as Chief Judge he had supported the change. He knew – we all knew — that if he did not, it would not have happened. I thought then, and now — that Judge Friedman had an unusually clear vision of the role of the courts in service to a great nation – and if that service was somehow thought to be slipping, we should do whatever’s in our power to fix it. And he did. I also saw that Judge Friedman’s intellectual curiosity embraced the culture of science. He was fascinated by the movement of electrons, and the advances of chemistry and biology. Still, with the transition from the Court of Claims, he assured that the precedents of history were preserved, not only by the formality of adopting them, as the Federal Circuit did as its first judicial act — but by reinforcing their truths. I was the first judge appointed to the new court, and my chambers were next-door to Judge Friedman’s, on the ninth floor. He made sure I felt welcome, as the first intruder into the domain of the Court of Claims. I soon came upon a case involving a claim against the United States, and I mentioned my uneasiness with deciding against the government. He twinkled – we all remember his twinkle – and he said “that’s our job”, and he quoted Abraham Lincoln — about the duty of government to render justice against itself. Dan’s opinions are a treat to read, not just because they advance the law in some very difficult areas, but because of their elegance of style and the purity of their reasoning. It would be easy to assume that the scholarly tradition from which Judge Friedman came would be remote from the world of applied science, at least in the arcane new areas of intellectual property law. Instead, he was intensely practical, wise and savvy in the law and the world — with a powerful a sense of justice. Judge Friedman had, as one would expect, a deep understanding of the judicial process. As a judge, he showed the most profound respect for our inherited law, without diverging from the statutory law. His standards were never compromised. He was a model of judicial elegance. He never showed off, never embarrassed counsel or his colleagues. Maybe the word is “urbane”. I never saw him badger a lawyer. He never took advantage of his position, looking down at counsel, who can’t answer back. In bearing and temperament he was made to be a judge. He always listened, and I never saw him show impatience or inattention. He would draw out his colleagues, even as he had the knowledge and confidence of vast experience. In every way, he will be missed. Dan Friedman’s life was a life of service. He served the law and the nation with a wisdom that’s rare, even among judges. It was a joy to be in his company. We remember his kindness and his smile – and his scholarship, his balance, his sensitivity. We mourn the loss of our dear colleague, and the nation’s loss of a powerful intellect. He moves to the memory of history. Here is the link to all of the eulogies: [Link]. 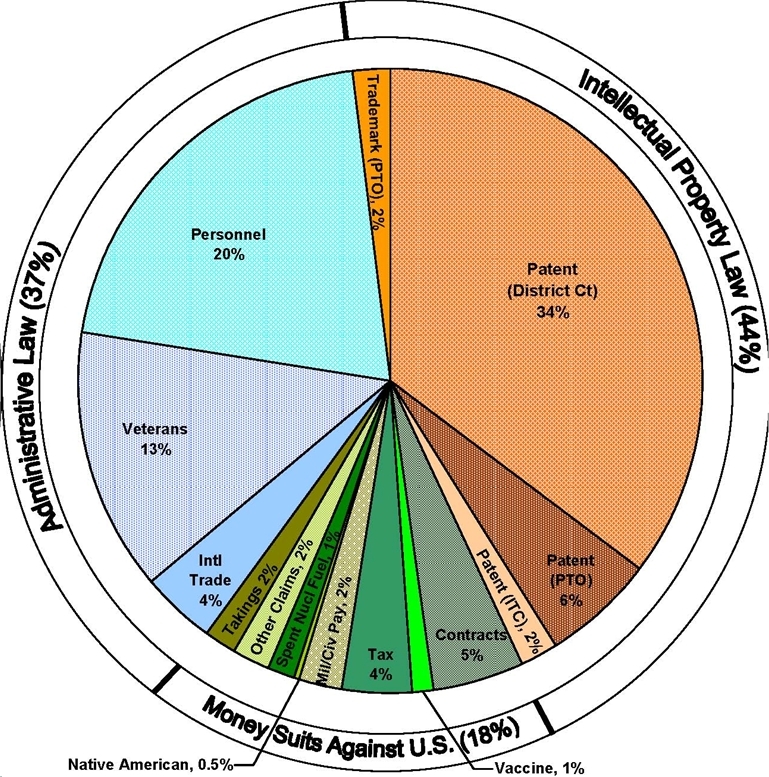 The patent eligibility of some Beauregard claims (i.e., computer readable medium claims) came up in the recent oral argument of Cybersource v. Retail Decisions. A decision from the Federal Circuit panel (Judges Bryson, Dyk, and Prost) is expected shortly. The panel inquired whether a claim to a computer readable medium should be patent ineligible if the method that the computer readable medium can cause to be performed is itself an ineligible abstract idea. It is hard to imagine the tortured logic that would be required for a court to hold that a patent claim that claims an article of manufacture (i.e., a physical object) is a claim to an abstract idea; nevertheless, we’ll have to wait and see if the court addresses the issue when it issues its opinion in the case. You can listen to the discussion of the patent eligibility of Beauregard claims during the oral argument [here] and [here]. Last year’s AIPLA Electronics and Computer Law Roadshow had one of the best line-ups of speakers that I’ve seen in quite some time. It got me to thinking what would be the ideal seminar. Here’s what I came up with for my own personal tastes. You probably have your own preferences as well. I don’t know that any of the suggested speakers would actually want to talk on these subjects; but, I think it would be interesting to hear their opinions. Common Sense – What is it, Who Has it? *“The Great Debate I” took place three years ago between the Obama and McCain campaigns on the topic of patent policy. You can view that debate [here]. The Federal Circuit has posted on its website eulogies by some of Judge Friedman’s former law clerks. You can read the eulogies at this [LINK]. Did You Know? President Eisenhower’s appointment of Potter Stewart to the Supreme Court in 1958 was the last recess appointment to the Supreme Court under Article II, Section 2, Clause 3, of the Constitution. In 1960, the Senate passed a resolution – which had no legally binding effect – expressing the Senate’s objection to recess appointments to the Supreme Court. With two circuit court (Seventh Circuit and Federal Circuit) nominees still waiting for a hearing before the Senate Judiciary Committee after more than a year of initially being nominated (while subsequent circuit court nominees have received hearings within a month of being nominated), one might argue that the Senate has had a fair opportunity to advise the President and chosen not to exercise it. Here is an article on judicial recess appointments: [Article]. According to the article, judicial recess appointments were most recently used by Presidents Carter and Clinton. Update: The article linked to above was written before the end of the Bush Administration. President Bush made two judicial recess appointments at the circuit court level. You are currently browsing the 717 Madison Place blog archives for August, 2011.